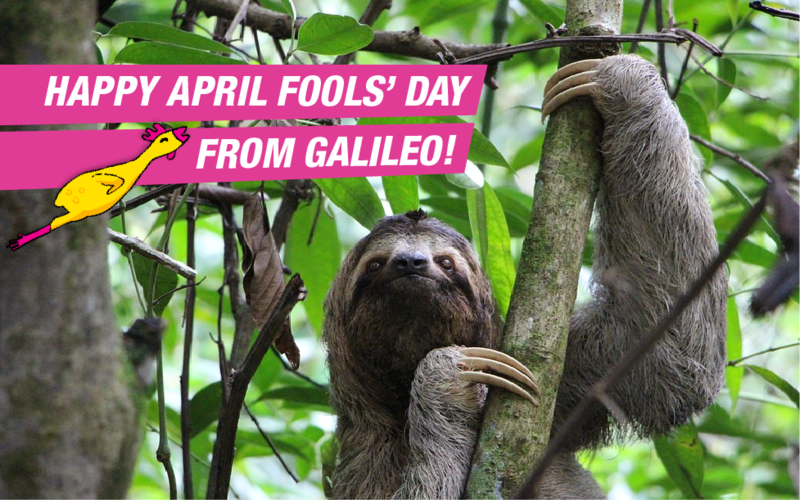 Happy April Fools’ Day, Galileans! Alas, there’s no sloth-based theme coming to Camp Galileo… yet. 😉 Still want to check out the “details” of this imaginary theme? Read on! At Galileo, innovation isn’t just in our orbit: it’s the sun around which we all turn. Our programs are constantly evolving to create engaging, enriching, and super-fun experiences for campers. 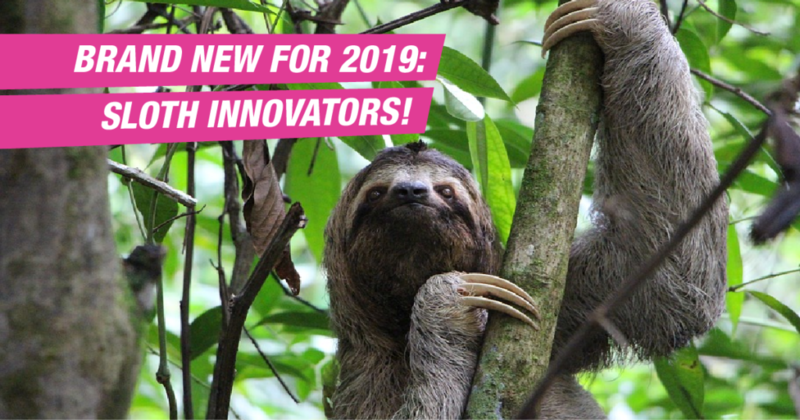 In this spirit, we’re thrilled to introduce Camp Galileo’s newest adventure: Sloth Innovators. Inspired by the fauna of South America—and more specifically, everyone’s favorite Pilosa—this all-new theme tackles all the fun of Camp Galileo from the slow lane. Here’s a peek at what campers will get up to in the Sloth Innovators theme. Art: Campers will explore color and texture, using acrylic paint and a variety of materials—including real dirt and moss—to create prints in the pattern of a sloth’s dense fur. Science: Sloths aren’t just great climbers; they’re also talented swimmers! Campers will explore concepts like mass, density, and buoyancy as they design miniature critters that stay afloat in water. Outdoors: Nebulas will take to the treetops in Floor to Foliage, a sloth-themed version of camp favorite game Ship to Shore. Art: Campers will learn about sloth habitats, then explore concepts like texture and gradients to design richly-layered collages to build out their own habitat dioramas. Science: Inspired by the arboreal lifestyle of sloths, Stars will build grabbers that can hang onto three different branch types. When campers master the two-toed grabber, they’ll use what they learned to create a three-toed version. Outdoors: Campers will break out their best silly sloth walks in the world’s slowest game of Freeze Dance. Art: Campers practice their sewing skills—and the patience and determination of their artistic inspiration—as they create their own sloth stuffies. Science: Campers collaborate to design a large-scale canopy for miniature sloths to navigate, then set their Pilosa pals in motion, Rube Goldberg style. Outdoors: Supernovas will put a slothy spin on a camp classic as they band together to reclaim a stolen stash of leaves, twigs, buds, and bugs in a game we like to call Not-So-Fast Food. Beyond team rotations, campers can look forward to the same all-camp fun they’ll find in less sloth-y theme weeks. Sloth dress-up day? Check. Sloth-based extended care games? Check. Hanging out with actual sloths? * Check, check, check. Want to learn more? 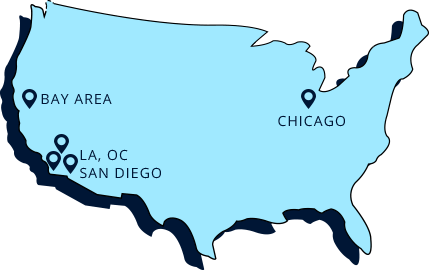 You can find all the info here. We hope we’ll see you in a few short months for our slothiest summer yet! *To manage the new critters that’ll be hanging out around camp during Sloth Innovators weeks, Galileo is now also hiring a brand new camp role—Summer Camp Sloth Tamer! Click here to learn more and apply.